At their best elections are a contest of ideas. We have a few. Every four years our political parties submit their best ideas to the judgement of the Victorian people. 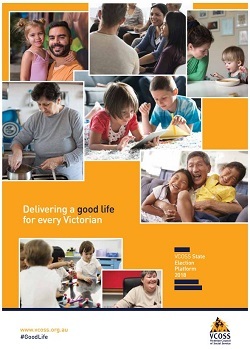 In advance of each election, VCOSS produces a comprehensive platform with dozens of ways to make Victoria fairer and more just. This forms the basis of our private and public advocacy through until polling day. The next Victorian election will be on Saturday 26 November, 2022. Being part of a community with friends and loved ones.